Tragically one child, often a toddler, is run over in the driveway every week in Australia. The vehicle is often being driven by a parent, relative or friend. 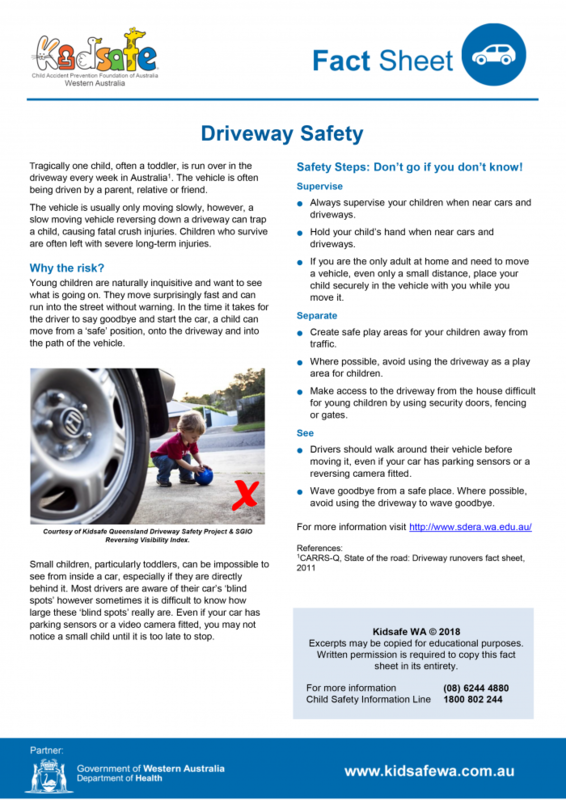 Scott Phillips, KidSafe Wa CEO, gives practical advice on how to keep our children safe in our drive ways and educated about the dangers.